The Hammer Strikes! : Happy Holidays! 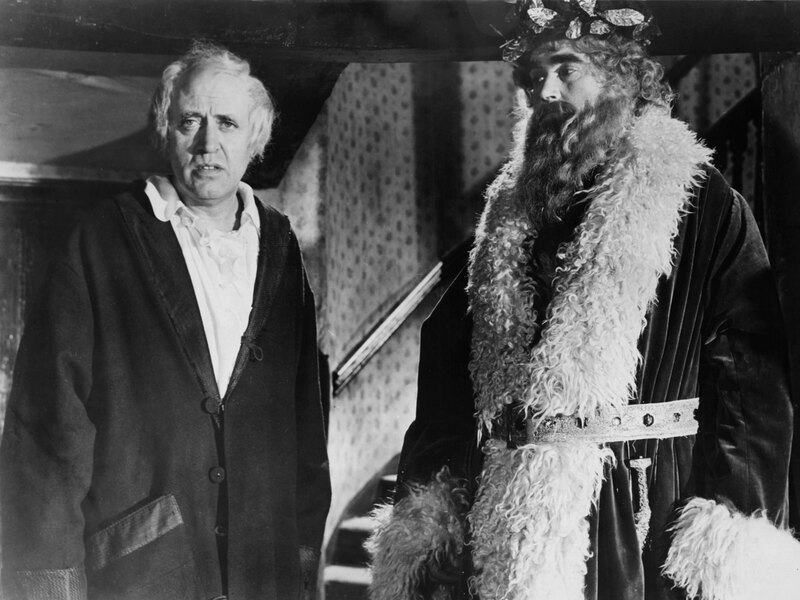 In honor of the day, I thought that I'd post my absolute favorite movie version of Charles Dickens's "A Christmas Carol". 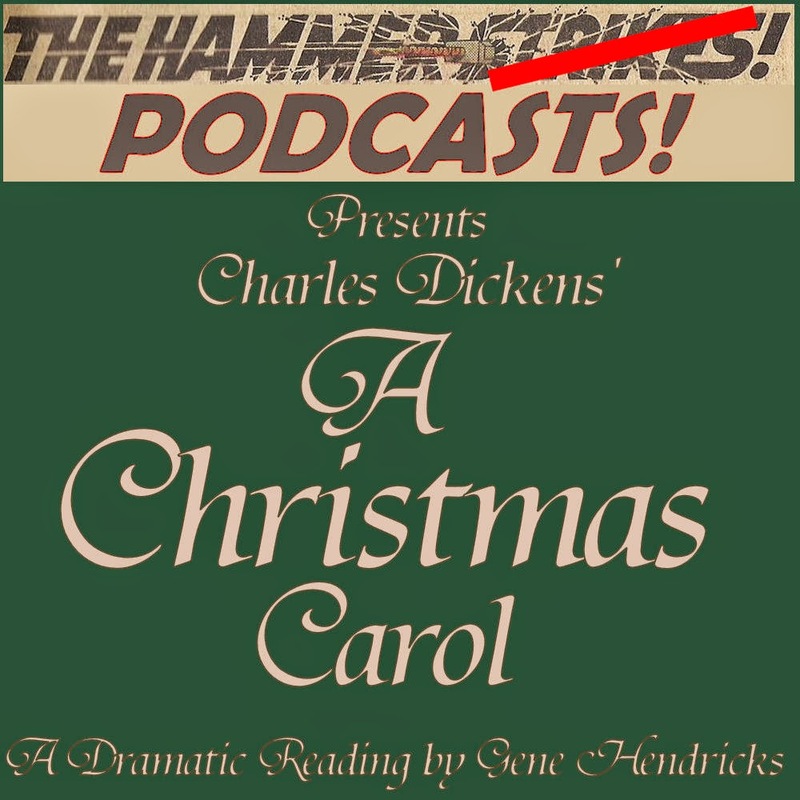 This version happens to star Alistair Sim, who does a wonderful job of showing Scrooge's transformation, but it also includes a scene that actually explains why Scrooge became a cold and cruel man. Unlike most adaptations that are not the equal of their originals, this is one of the few that actually surpasses it by adding that one detail. 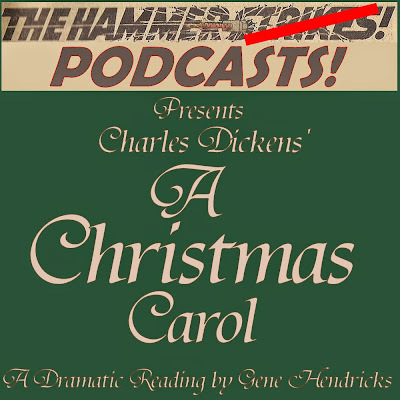 I just wanted to compliment you on your excellent reading of the Dickens classic, "A Christmas Carol". I'm certain that many people of our vintage have seen the filmed version in various forms with various actors, from Patrick Stewart to Bill Murray, from Alastair Sim to George C. Scott (I'm intentionally omitting Jim Carrey as I would prefer to omit Jim Carrey from all things that tend to bring joy into the world). But I would wager that very few have ever fully read the story upon which these films were based, much less had it read in full to them in such an entertaining manner. Yes, there were times that Dickens got a bit wordy with the descriptions, especially the depictions of food, but to hear the story in its entirety showed how all of these movies took sometimes the basic idea of the tale and put only that on screen. Listening to you read this was a joy, and I commend you for being able to do it. Even with simple short stories, I myself had fumbles with words and what have you...but your's was a professional production. Too bad DiManzo has an alternative definition of "professional" for his employees as this most certainly won't garner a Christmas bonus. I'm typing this early on the morning of Christmas eve, and I hope that you and your family have a joyous, blessed, and happy holiday season. Thank you so much for the show. Shawn was a fellow podcaster who I had the great pleasure of getting to know over my time in the hobby. He died rather suddenly on December 16, 2015, at the too young age of 45. He was much, much too kind in the above e-mail, as he was in all of his life. The fact that he spent some of his last Christmas holiday listening to me drone on will be something that I'll never forget. In his honor, I'm republishing the link to my reading of the original story.